The Microtech Crosshair is an extremely sturdy fixed blade knife. 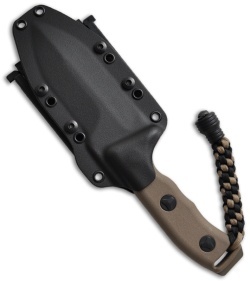 This knife is tried and true; it will hold up to some adverse conditions. 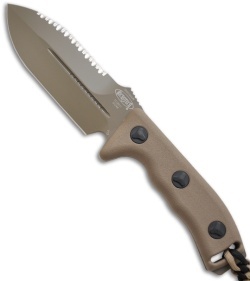 The Elmax steel blade is full tang, tan colored, and double edged. The primary edge is plain and the upper edge is fully serrated. 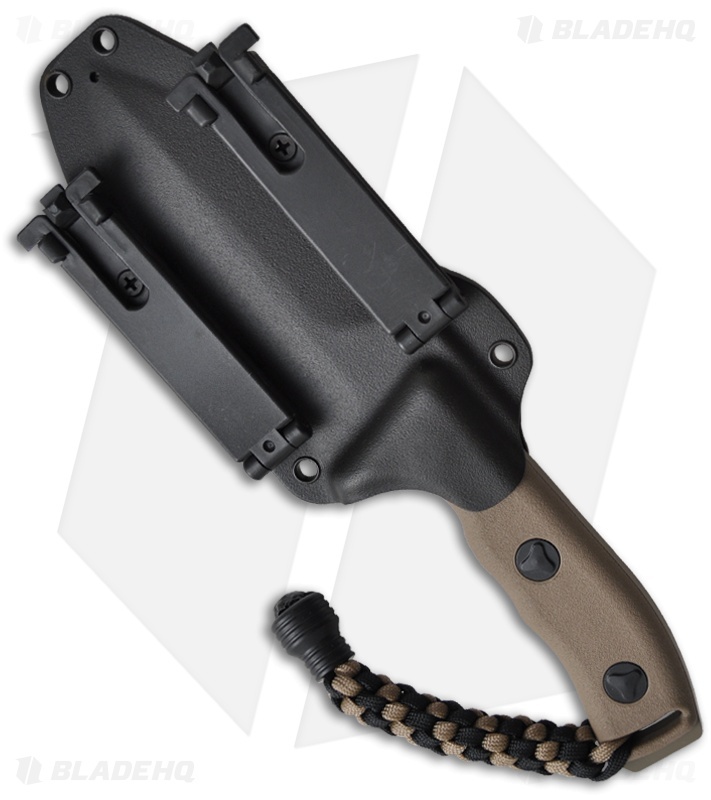 The handle is a tan polymer with a braided lanyard and stainless steel "knocker" bead. Includes a heavy duty Kydex Blade-Tech sheath.